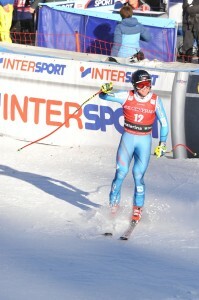 The Norwegian athlete Alex Kilde (24 years old) was the fastest of the SuperG race (as part of the Alpine combined) on the Deborah Compagnoni course in Santa Caterina Valfurva (Sondrio). With 1’32 “65 he is ahead of a fantastic Marcel Hirsher (+0,79), Frenchman Alexis Pinturault (the +0.84) and the Swiss Mauro Caviezel (+ 1.12). Kilde created his great race facing the curves in the shade immediately after the start and and made it even greater in the final part of the woods. Great precision and a very determined attitude were the fundamental for his performance. Dominik Paris, 5th place (+ 1,13) is the best ‘Azzurro’ while Peter Fill was below par (+2.72). Christof Inerhofer fell near the finish area and is suffering a calf bruise. But we are only halfway there, slalom starts at 2pm and that’ll give us the final podium.